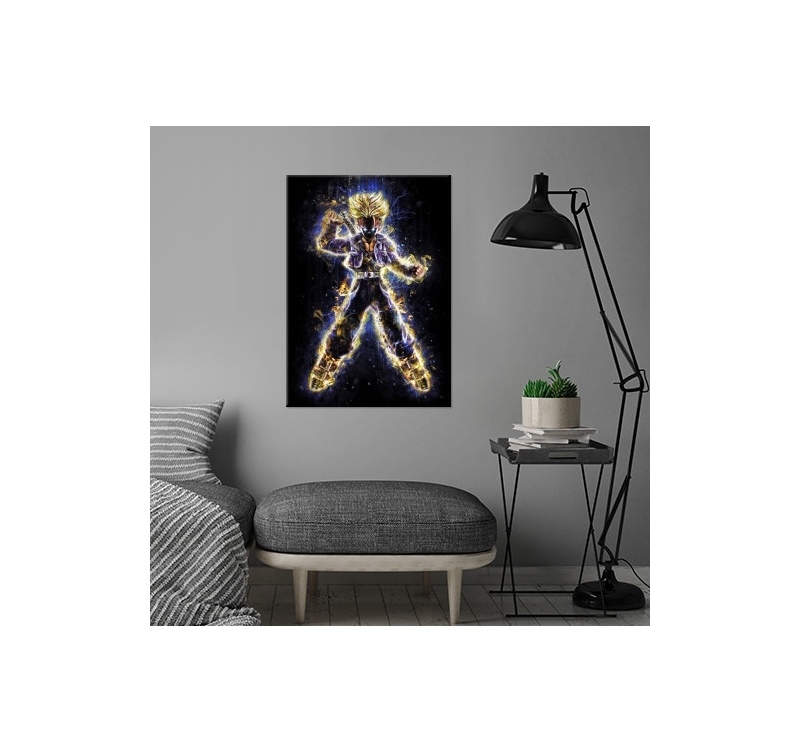 The power of the super warrior in a unique metal poster ! 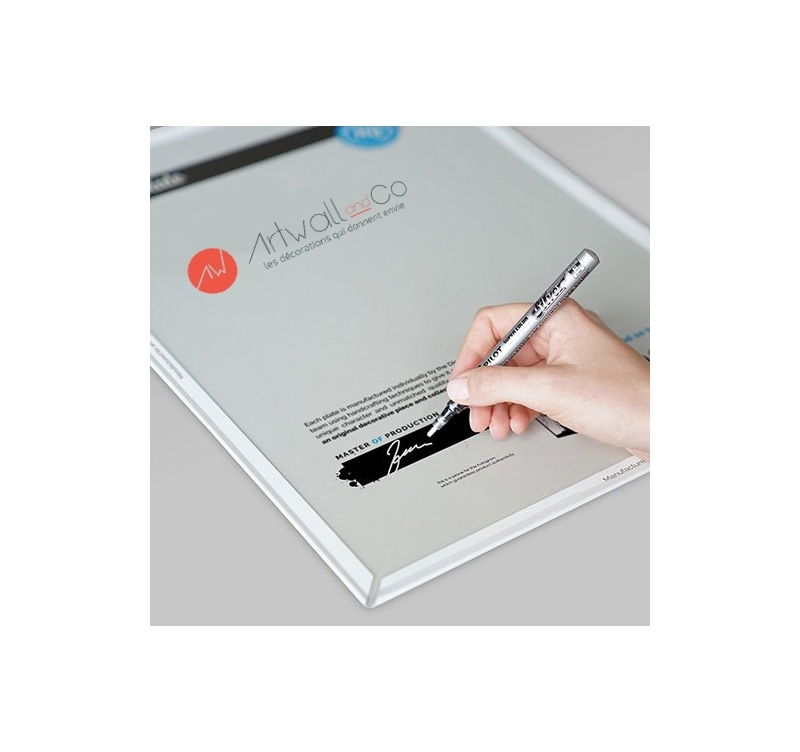 The magnetic hanging system Artwall and Co comes with this manga poster. 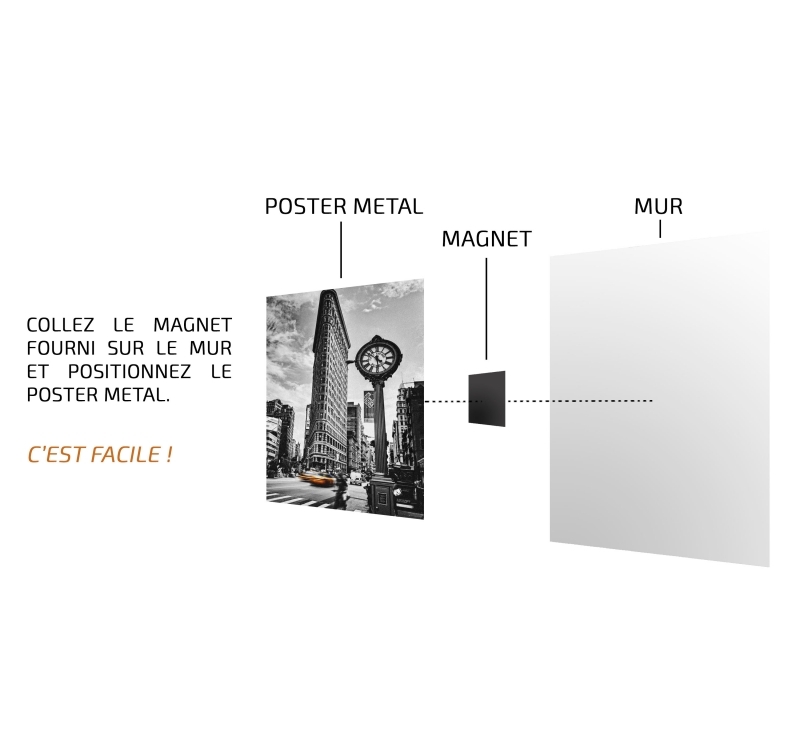 Free delivery in Metropolitan France and Belgium for this metal collector poster. The combative look, the hand to the sword ... 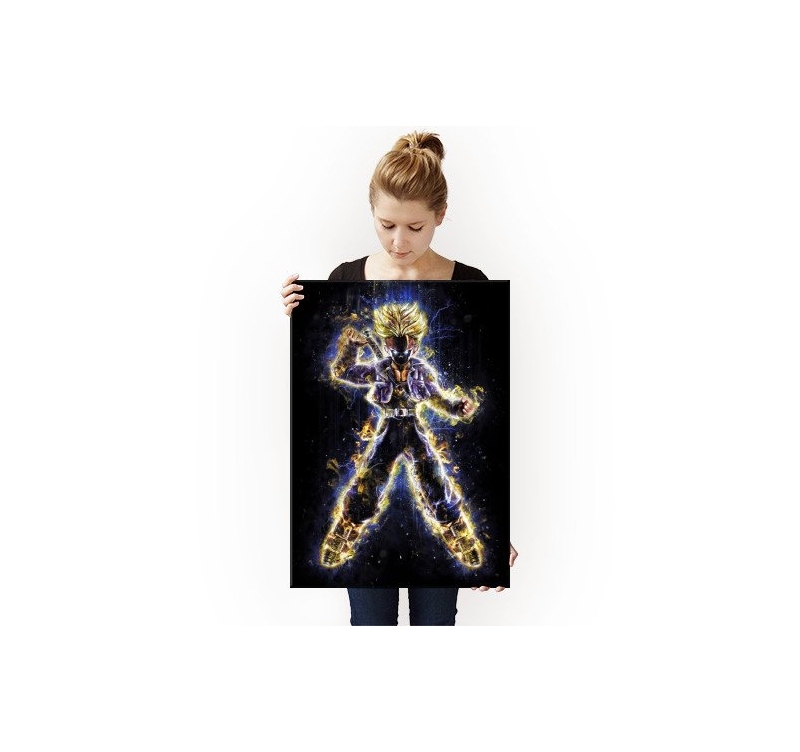 This metal poster shows all the energy and fury of the Saiyan Trunks ! On a black background, our artist has recreated the strength and stamina that emerges from the body of this warrior with a mixture of blue and yellow that will electrify your wall decoration. 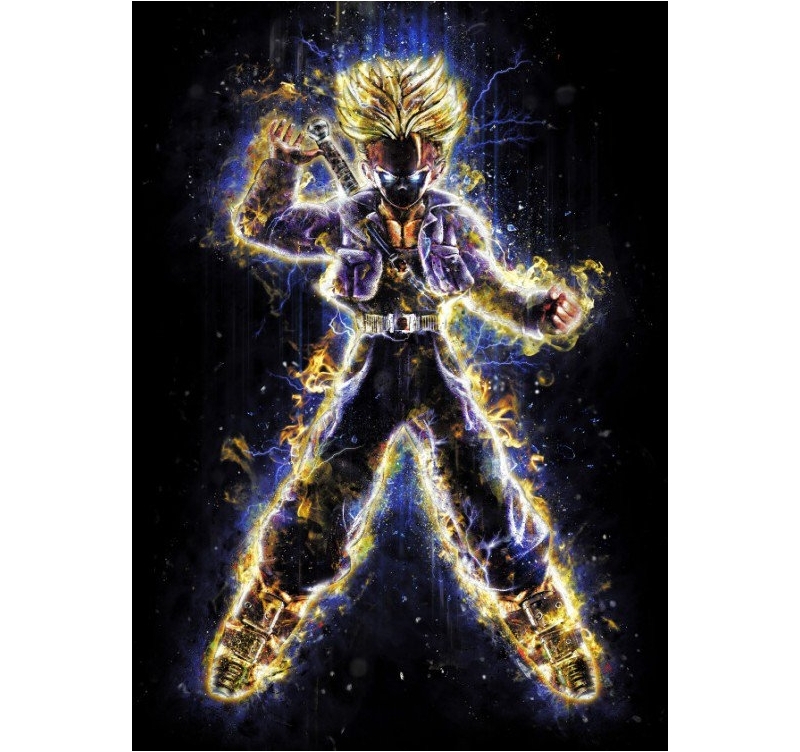 This metal poster retraces the adventures of the manga Dragonball Z and the different protagonists who made the joy of your childhood ... With a hologram on the back of the collector's poster and the signature of our workshop leader, this metal poster is a real collector's item for all DBZ fans. 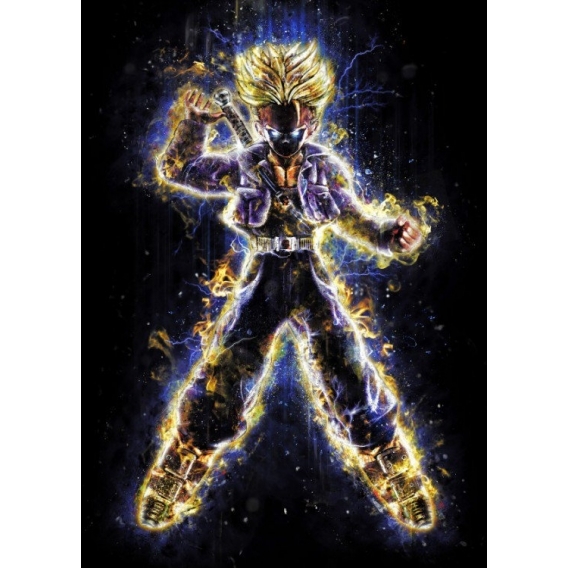 Any order from this Trunks wall poster allows you to support the artist who created it.